Thank you for your tremendous generosity! 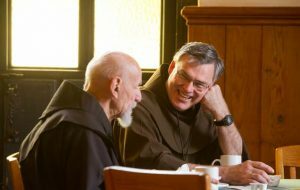 There are many ways to contribute to and participate in the Franciscan vision. First and foremost, you can include us in your prayers. Also, you can serve as a volunteer in any one of our ministries. 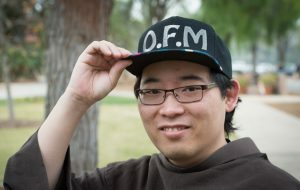 And, if you are a single, Catholic man and feel a call towards religious life, you can participate in the discernment process offered by our Office of Vocations. If you would like to contribute to our efforts in a material way as well, you can do so directly through this website, or contact our Office of Outreach and Development. The Franciscan friars remain steadfastly dedicated in ministries to the people of God as we continue to further the Gospel message. 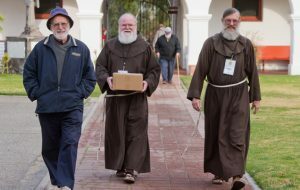 We continue to find new ways to support the current needs of the community, our current ministries, and to plan for the future care of our friars. 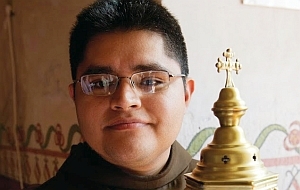 Welcome to the Vocations page for the Franciscan Friars of the Province of Saint Barbara. We are excited that you found your way -- or should I say, were led by the Spirit? – to our website! I encourage you to explore the pages found within. Our website is not an exhaustive guide, but rather an invitation to "come and see." The process of initial formation (postulancy and novitiate) is the privileged time in which the candidates, with the special accompaniment of their directors and the formation fraternity, are initiated into the Order of Friars Minor to follow Jesus Christ according to the way of St. Francis of Assisi. Your questions and request for more information are welcomed by the Franciscan friars of the Province of Saint Barbara. Contact the appropriate office below or complete the form.